The name is perfect. 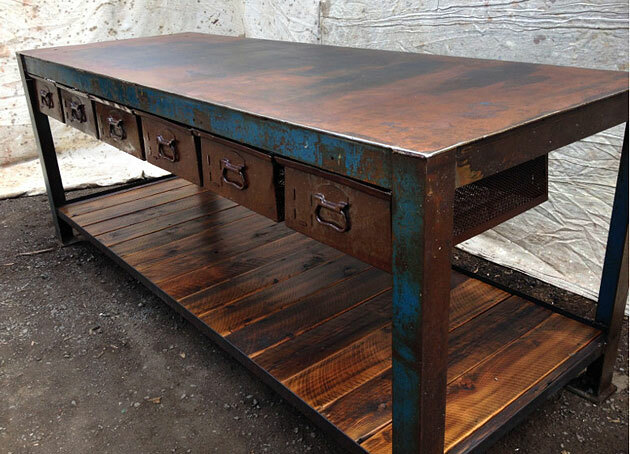 Old Soul turns familiar elements into industrial-style furniture that wears its hard working past with pride. Old Soul launched in 2013 but its owners have been taking orders from friends for many years. 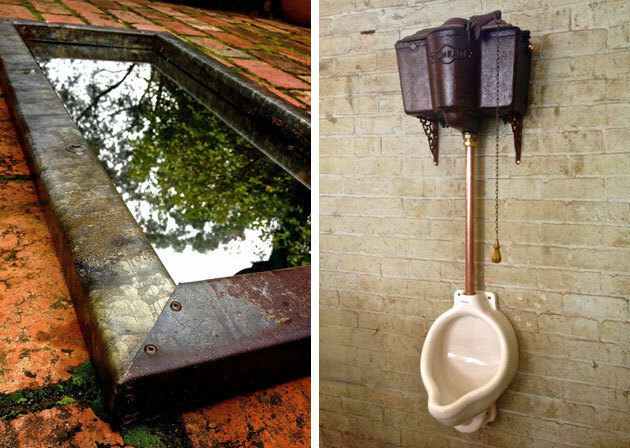 Troy is a plumber with a talent for repurposing old materials. Rebecca has visual merchandising and decorating experience. Old Soul’s speciality is upcycled furniture with real stories. Not industrial glamour because it’s trendy. But an honest appreciation of aged textures and patinas. It’s interesting how life skills influence creativity. Troy uses plumbing-related metals in many designs. 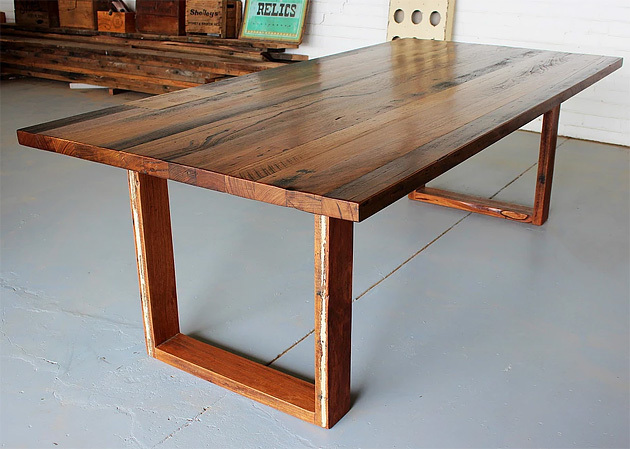 His work includes rusted roofing iron, copper, zinc, steel, recycled timber and salvaged industrial pieces that look great in commercial fit outs or industrial interiors. 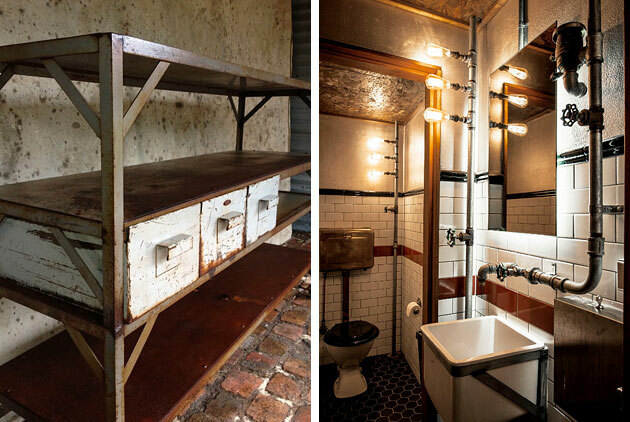 He also restores vintage tapware and cisterns for new projects. On the Old Soul website you’ll find a catalogue of work for sale and a portfolio of past projects. Troy is happy to take commissions based on existing designs, or work with your ideas to create exactly what you need. Old Soul is also available for bar, cafe, restaurant and commercial fit outs. 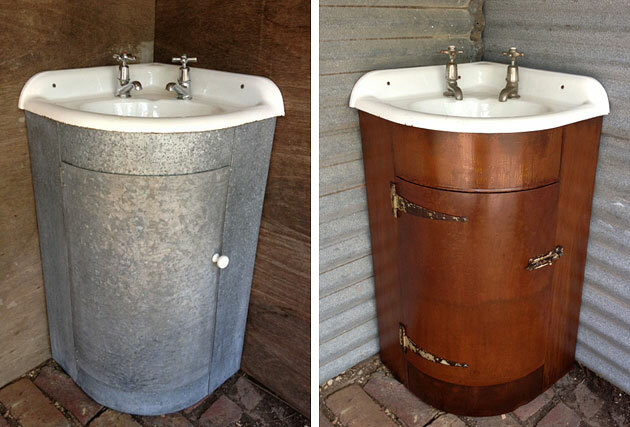 Old Soul furniture is gutsy and authentic and we are very happy owners of some of their pieces. 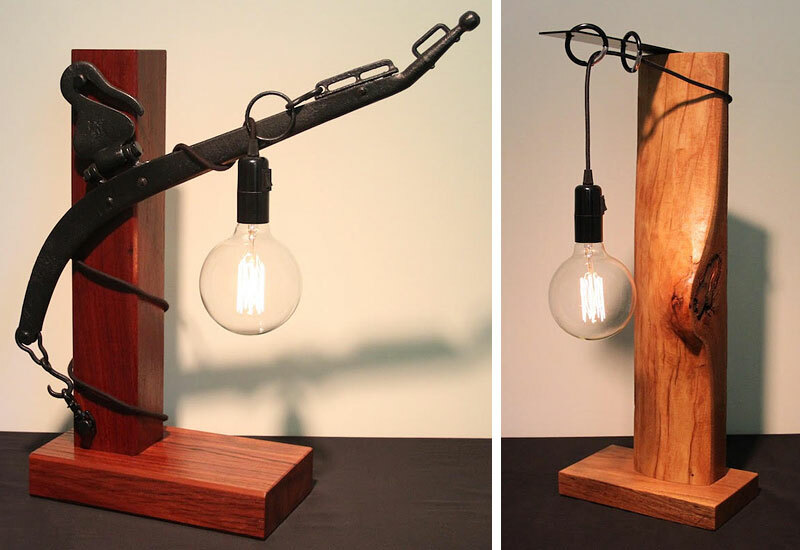 For custom work, an imaginative craftsman with strong trade skills is also a great find.